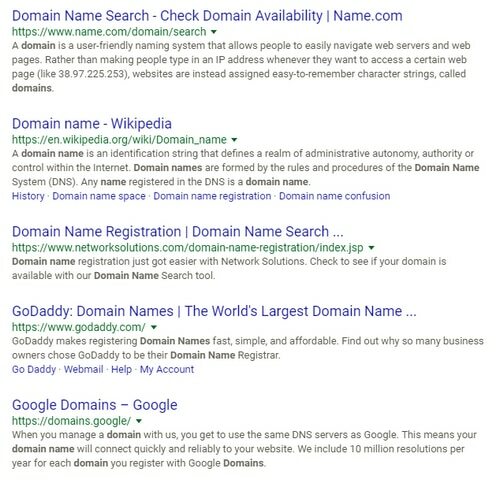 Some observations about Google’s search results for “domain name”. I was doing some research this morning and searched Google for domain name, both with and without quotes. I was a bit surprised by the search results. Since I was logged into Google I also ran the searches through a proxy browser. In both cases, the same five results are in the top five, although in a somewhat different order. The most surprising thing was that Name.com was number one for both searches. This must be driving an insane amount of business to the company. The other results, in varying order, are Network Solutions, GoDaddy, Google Domains and Wikipedia. 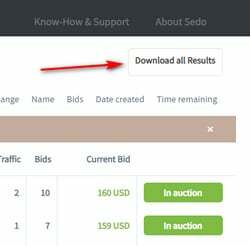 There are also a lot of advertisers for the term and the top spot is usually taken by Google Domains. It makes me wonder how much of Google’s domain business growth is from paid search, organic search and cross promotion. The paid search is quite nifty; Google just takes money from one pocket and puts it in another.